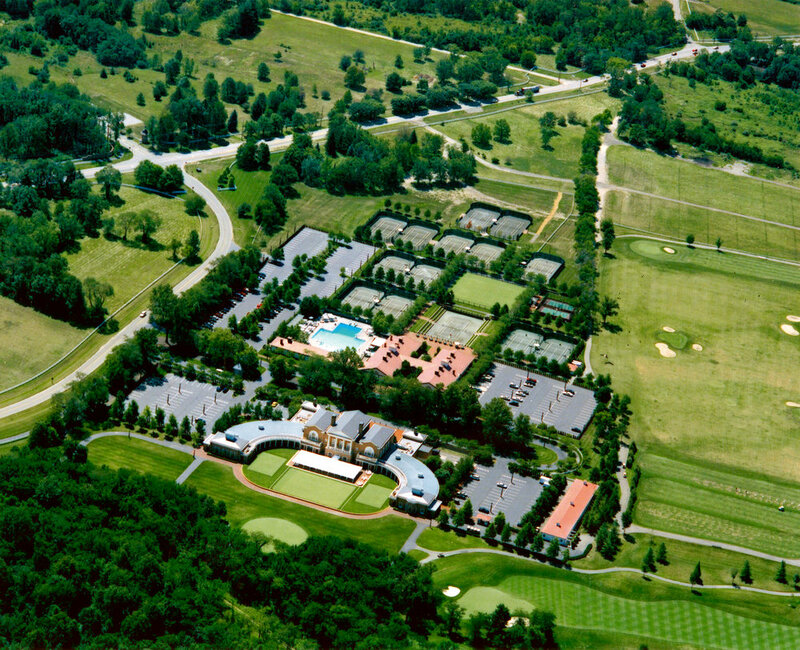 Placed on axis with the formal Palladian-style New Albany Golf Clubhouse across the street, the New Albany Bath and Tennis Club’s “H-shaped” plan surrounds a welcoming entry court that positions you on axis with its back-garden court and the Club’s “stadium” tennis court beyond. 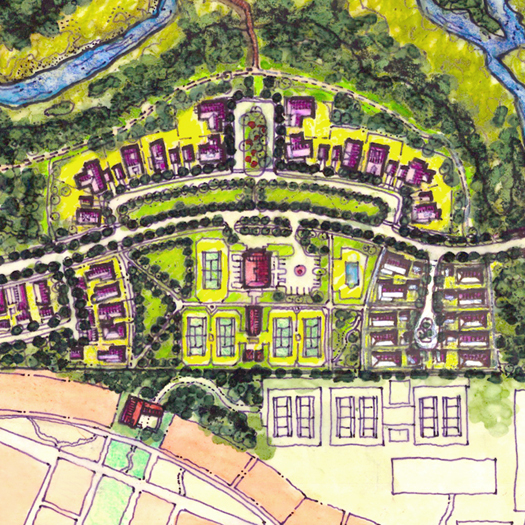 The facility contains exercise and swimming facilities (both indoor and outdoor), tennis courts and locker rooms. 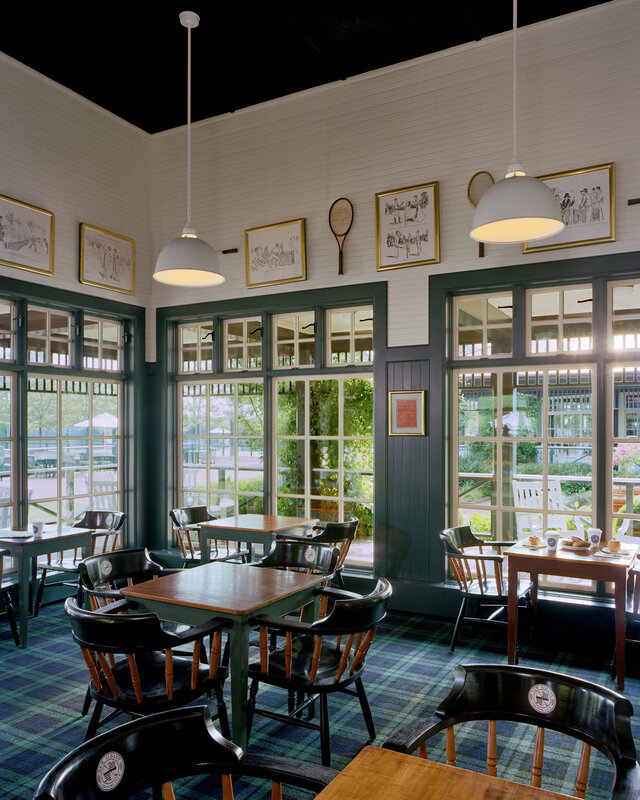 Its broad porches, clapboard and board-and-batten siding, and overhanging roofs evoke the rustic character of agrarian outbuildings of America’s great historic houses. 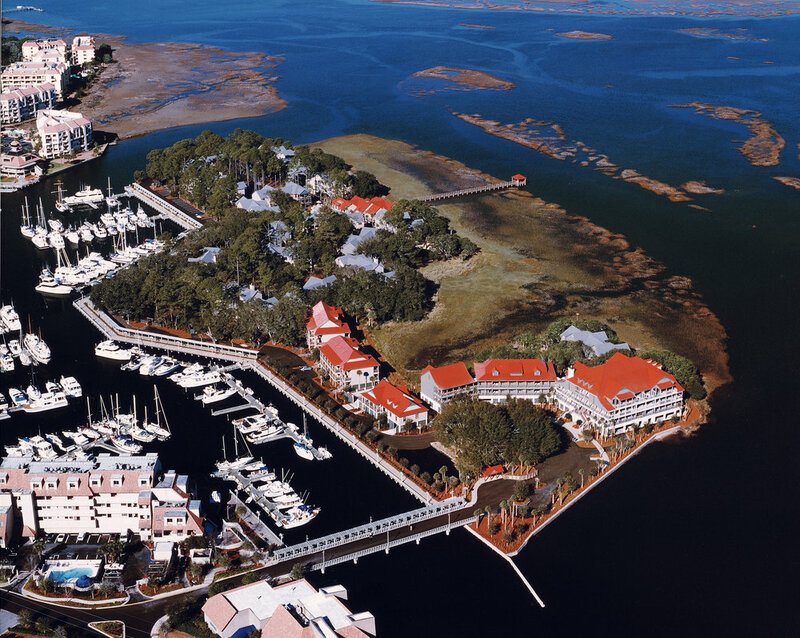 Disney’s Hilton Head Island Resort was designed with two distinct precincts. 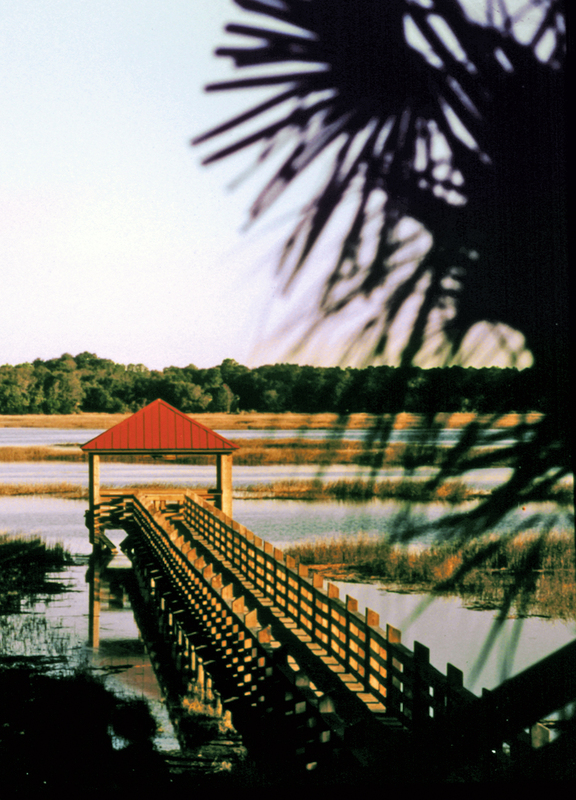 One, where the guest rooms are located, is a sportsman’s Camp, built on a live oak and pine tree populated island overlooking South Carolina’s low country river system of marshes and wildlife. 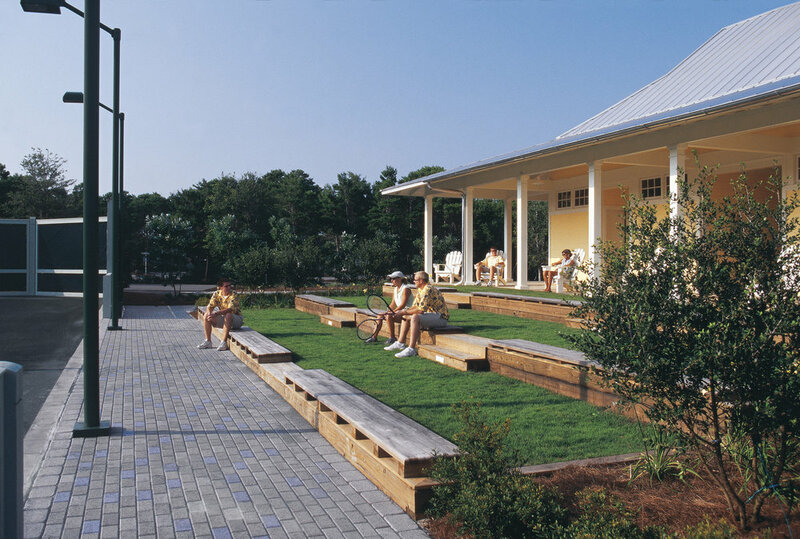 And the other is an oceanfront Beach Club with dining and changing facilities built on a raised arcaded terrace, set back from the dunes and surrounded by live oaks. 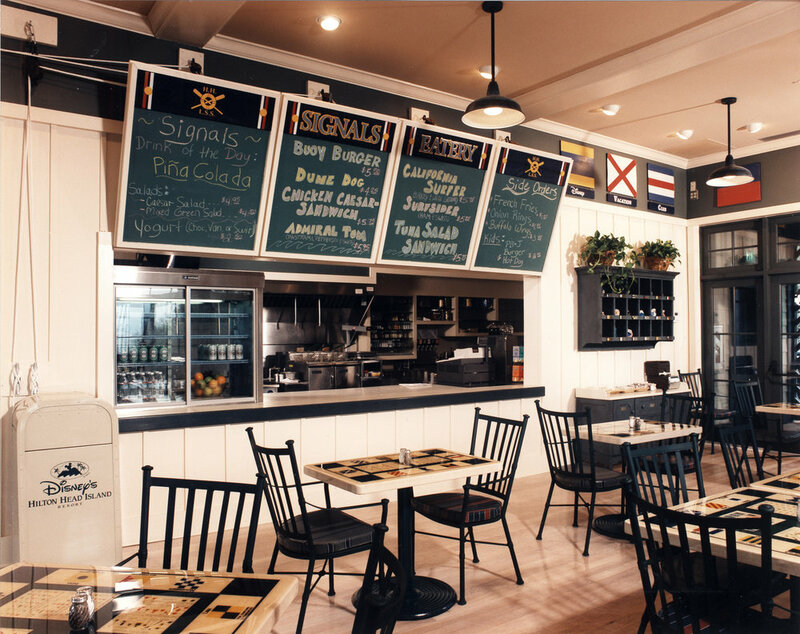 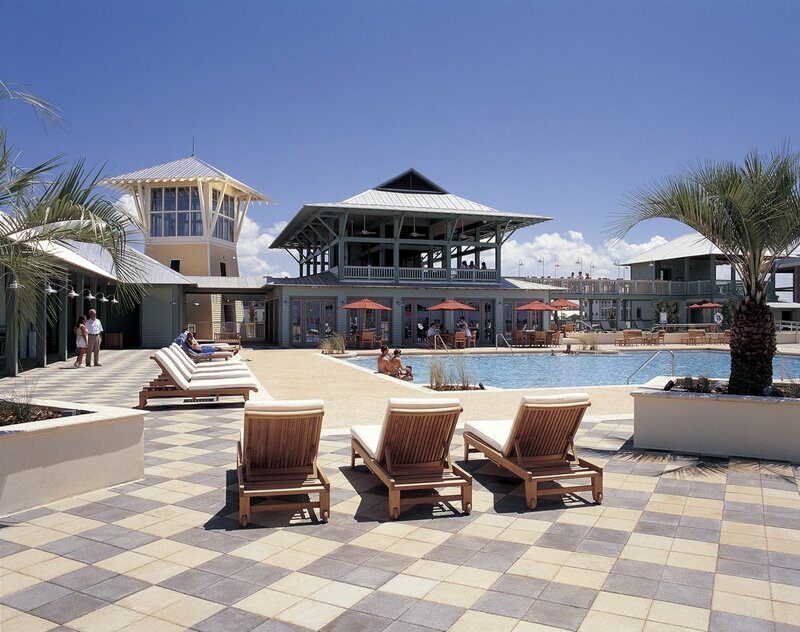 We designed the Camp precinct buildings in a regionally authentic Low Country cracker style with metal roofs, board and batten siding and large porches, while the U-shaped Beach Club is purposely more formal. 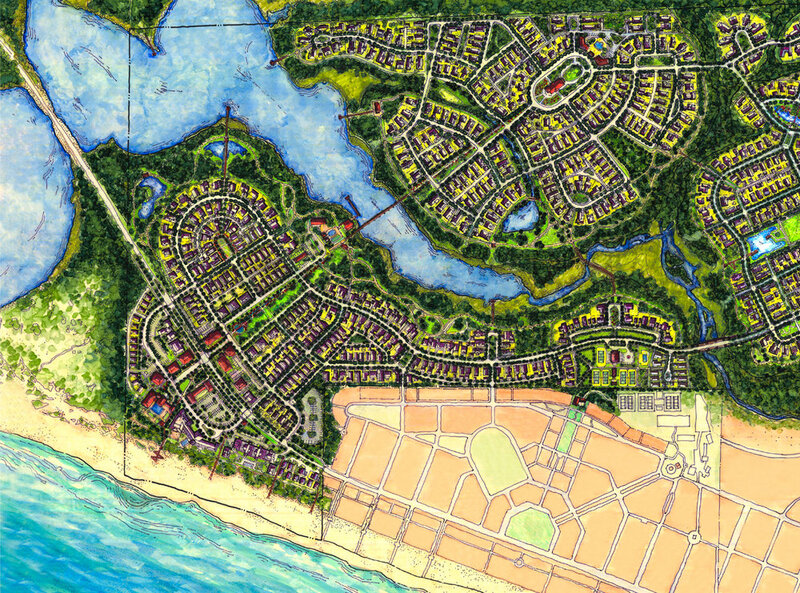 Located on the Gulf of Mexico at the end of the WaterColor residential community's main southwest-northeast axis, the Beach Club, built on a deck over a parking garage, has a pool with locker and changing facilities, and a poolside restaurant with an open-air bar pavilion above with sweeping views of the Gulf. 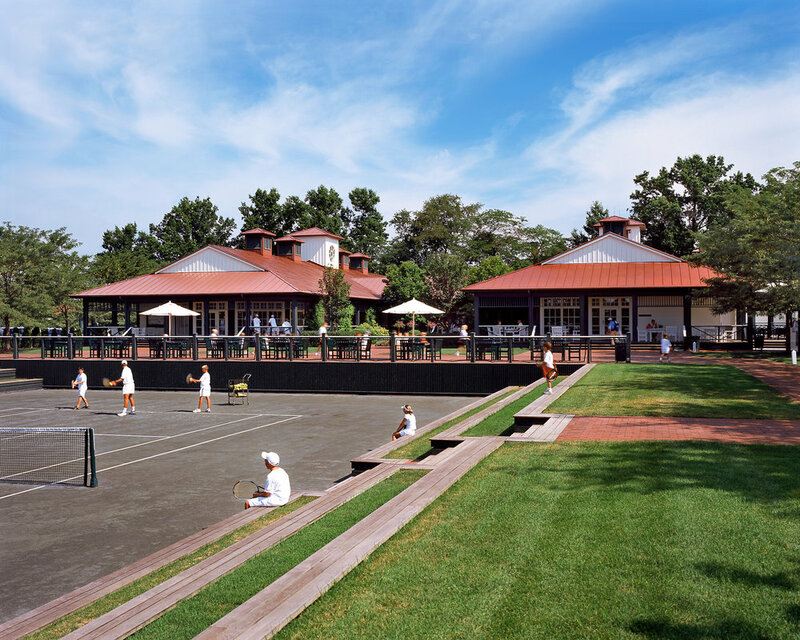 Designed in the Florida cracker style prescribed for the WaterColor residential community's public architecture, the Tennis Club is the headhouse for a five-court tennis facility (with room for expansion) servicing the WaterColor residents. 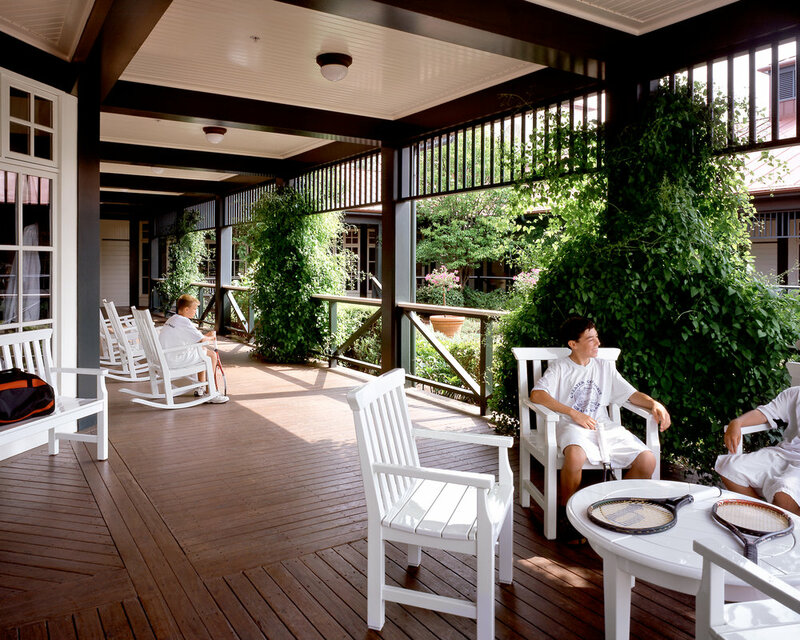 It includes a lounge, locker and changing facilities, restrooms and a wide wrap-around porch.